We know your neighborhood! Marshall’s Contracting is a locally, family owned and operated business with over 30 years of experience. Since 1982 we have been serving the exterior remodeling needs of residential and commercial customers in Howard, Carroll, Frederick, Baltimore, Anne Arundel and Montgomery Counties. We look forward to serving you! We understand that updating your home or business exterior is a big decision. It’s one that can have a significant effect on your lifestyle and the value of your property. And because your home or business is probably the biggest investment you’ll ever make, you want to protect that investment. Whether you are considering siding because you want to be free of the painting and maintenance associated with wood or you want to install new windows in your office to reduce energy costs, we can insure that your new exterior adds to the value of your home or business! Whatever image you have in mind, Marshall’s Contracting can help you achieve it. 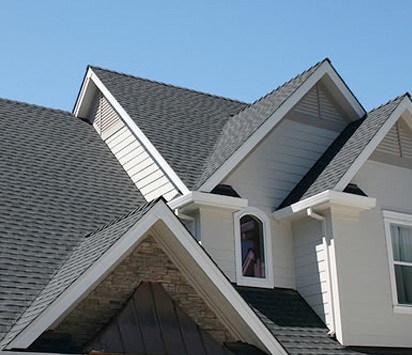 For years, we have been providing roofing and siding repair in Columbia MD and surrounding areas and we have many clients who are satisfied with the work we have done for them. If you want a complete roofing replacement or need some hail damage repairs after a big storm, we have the knowledge and experience to tackle the job professionally and do it right the first time.